I love writing action-packed adventure stories for kids of all ages. All my books promise magic, edge-of-your-seat action, fun, laughter, and some inspiring moments along the way. Get ALL these BOOKS for FREE when you join the mailing list. I love to spoil my fans! Exclusive Book only available HERE! - And stay away from Izzy. She’s all colorful and funny and awesome…. and not helpful for fitting in. 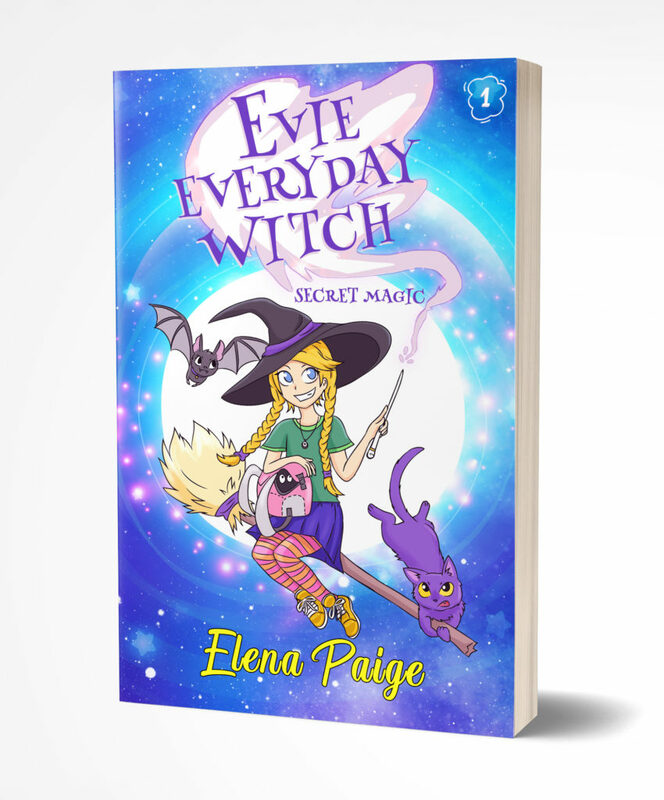 Evie Everyday Witch is a series of chapter books that kids and parents love. Ideal for kids ages 7-11! "It takes a certain mindset, gifted with compassion and humility to create books for children. Elena Paige stands among the selected few."